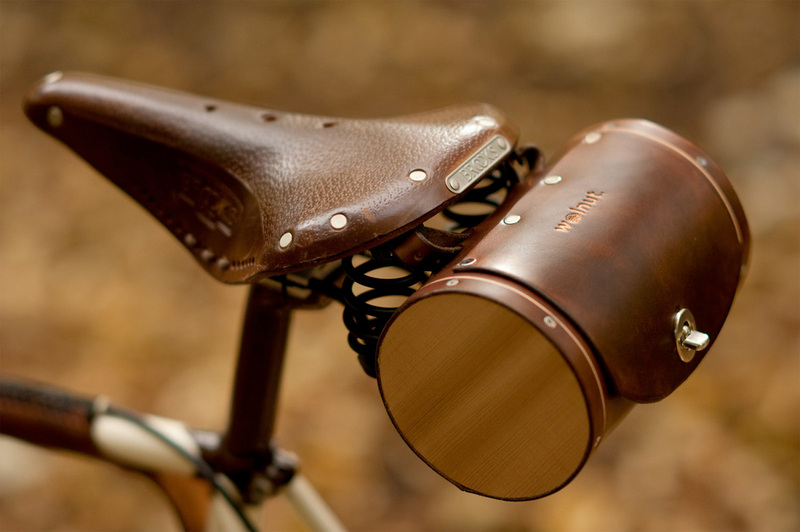 We really like the bike accessories from WalnutStudiolo. I was looking for a late holiday gift, to myself, sadly they’re over run this season with orders. 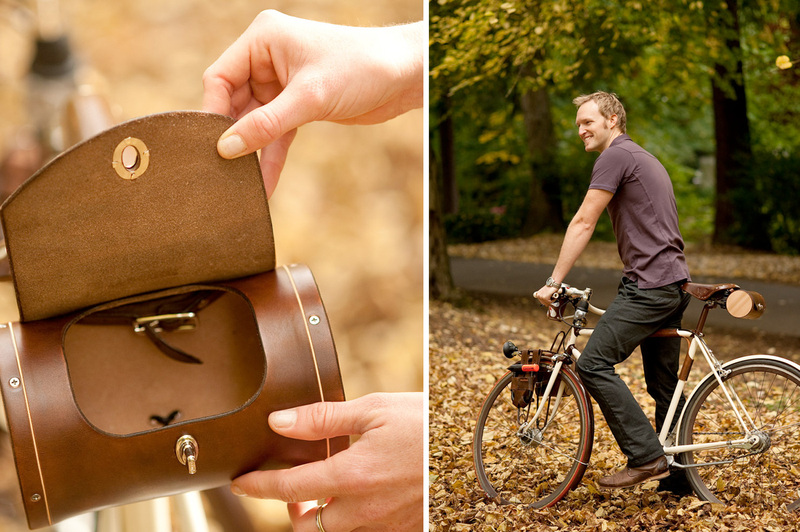 A stylish leather seat bag for your bike, designed with classy antique steamer trunks in mind. The seat trunk dimensions are 7″ wide by 4 1/2″ circumference. Hand-finished, hand-stitched thick and stiff leather attaches to your bike with leather straps that thread through the seat rail or through Brooks saddle eyelets. Stays shut with a “common sense” hardware closure, and contents held secure with envelope flaps that fold into the bag. The leather in the bag is made with unfinished tanned leather from a local company that I finished with a combination process including neatsfoot oil and walnut dye. Sides are made of aromatic Northwest cedar. SORRY, WE CAN NO LONGER TAKE CHRISTMAS ORDERS. Our cup runneth over. Thank you all for a banner holiday season! Please consider a gift certificate instead, we appreciate your interest and business.